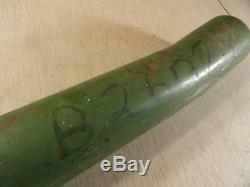 John Deere B NOS New Upper Water Pipe Part number B2609R For John Deere B after SN:201000 This is a NOS, new genuine John Deere part. 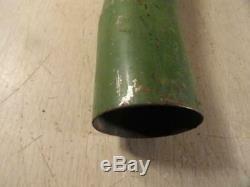 This is the replacement pipe to braze into your used casting. This is a new, never used pipe. It is in new, never used condition. This is what is called a New Old Stock part. It does show some shelf wear. John Deere B NOS New Upper Water Pipe. For John Deere B after SN:201000. 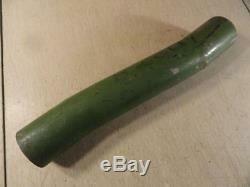 This is a NOS, new genuine John Deere part. Parts Inquiries and General Questions Welcome!! Specializing in John Deere Two-Cylinder parts, tractors, and repair MODELS A B G 50 60 70 520 530 620 630 720 730. Get images that make Supersized seem small. 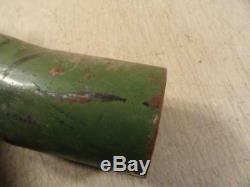 The item "John Deere B NOS New Upper Water Pipe Part number B2609R" is in sale since Thursday, January 10, 2019. This item is in the category "Business & Industrial\Heavy Equipment, Parts & Attachments\Heavy Equipment Parts & Accessories\Antique & Vintage Equipment Parts". The seller is "greenhatpart" and is located in Niota, Illinois. This item can be shipped worldwide.